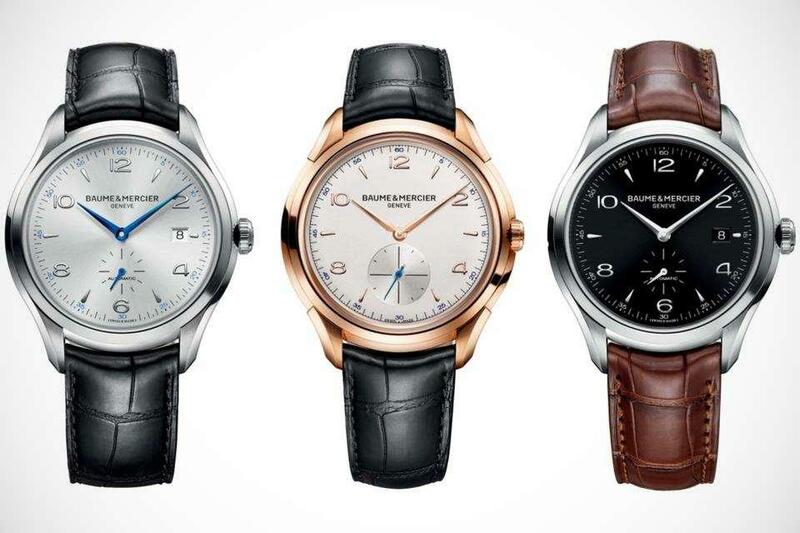 Luxury watchmaker Baume & Mercier will launch a range of new mechanical timepieces at SIHH next year under the Clifton 1830 collection, including a sold rose gold hand-winding model and two stainless steel automatics. The watches are inspired by the best of the Maison’s models from the “Golden Fifties” but with dimensions adapted to meet the aesthetics of modern day trends. Translated that means they are bigger. 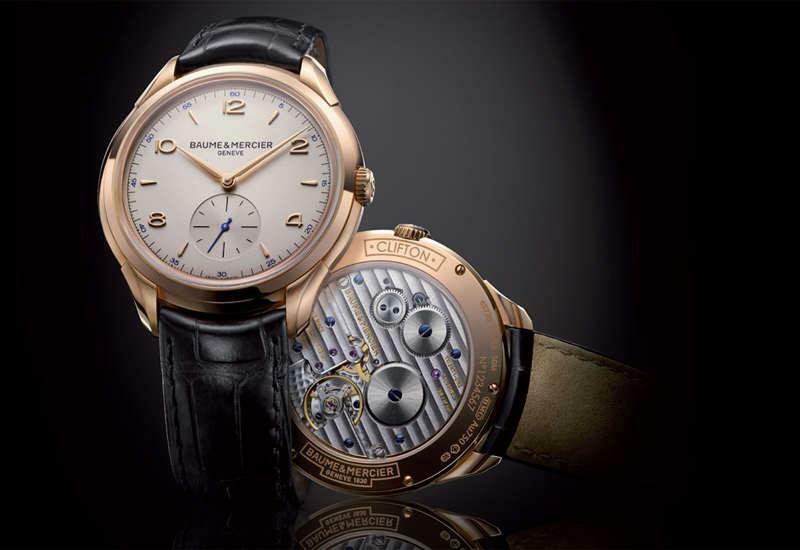 The star of the collection is in 18K red gold and powered by a traditional manually wound calibre. It has a 42mm case featuring both satin and polished finishes. The small seconds counter is inset at six o’clock and set with numerals and indices that are individually applied and then meticulously riveted into place. Delicate and elegantly simple, the watch features a Manufacture calibre specially adapted for Baume & Mercier by the La Joux-Perret Manufacture. Movement ref 7381, has a power reserve of 90 hours once its barrels are fully rewound. The movement is also visible through the sapphire lens in the caseback. The stainless steel models are a little smaller at 41mm, with a silver-coloured dial displaying Arabic numerals and index markers on a classic a black alligator strap. Hallmark Swiss quality through and through, the watches feature blued steel hands, an open case back and Côtes de Genève decorated oscillating weight. The black dial version comes on a brown alligator strap, with the same case size and small second details.